Ever wondered what it's like to breathe while under the water? Let Neptunes Instructors take you for that first breath underwater! You've seen documentaries on tv showing divers descending under the waves, discovering new worlds that only divers can explore! Be that explorer even if only just for today, discover for yourself the excitment and thrill of breathing underwater. It only takes a couple of hours of a morning or an afternoon. Your instructor will fully brief you about the equipment, what you will be doing underwater and how the water reacts with you! Be careful though, you may find this opens up a whole new world to you. It can become very addictive. Just ask your instructor! This is actually two experiences in one package! Double your enjoyment with this experience. If you enjoyed the thrill of breathing underwater for the first time in the pool or confined water environment, why not join in with an open water dive? This is a two day course in which you gain an actual qualification in diving, although you will be always under the supervision of a PADI Divemaster or Instructor. It has been designed for people who have a limited amount of time. This course involves a swim assessment, three theory sessions, three pool or confined sessions and two open water dives to a maximum depth of 12 meters. You can if you so wish carry on, straight after this course, and complete the PADI Open Water Diver Course, or upgrade to Open Water Diver at anytime after. If you have completed either Discover Scuba or Discover Scuba Diving with us here at Neptunes, we can credit these experiences towards this course. 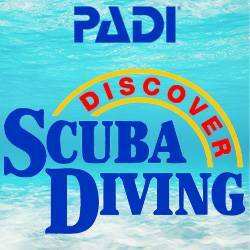 This is the worlds most popular diving course. It involves a swim assessment, five theory sessions, five confined or pool sessions and four open water dives to a maximum depth of 18 meters. If you have completed the PADI Scuba Diver with us here at Neptunes, we can credit this towards this course. 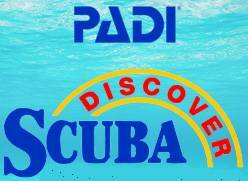 If you already have completed the PADI Scuba Diver why not upgrade to PADI Open Water Diver for a reduced price. Included in the price of these courses are the cost of all rental gear to complete the course, travel costs to & from dive sites & pick up from your hotel in the morning, in Qawra, Bugibba, St Pauls Bay, Golden Bay & Mellieha areas. If you have your own, up to date, manual for the course you wish to complete, you may bring this with you.